Tata is today launching india's cheapest car TATA NANO, priced at 1 lack. Although there may be some kind of competition for the cheapest cars in india. so many company are planning to launch cheapest cars in india. Cheavy Beat is one of them. Chevrolet plans to launch a new small car by the end of 2009. The car will be available in both petrol and diesel variants. 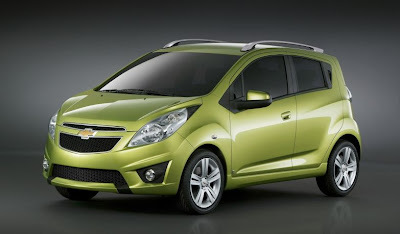 General Motors India commented that Chevrolet will unveil a new hatchback for India. This car will be designed for India unlike the Spark which is a Korean design which was initially sold as Daewoo Matiz. The new model will be manufactured and assembled in the GM’s Talegaon plant. The engine capacity of the car will be between 1 to 1.5 litres.